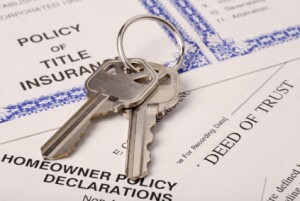 Real estate transactions must abide by federal and state statutes as well as common law. Working with experienced real estate attorneys such as Hester, Grady and Hester PLLC can save time, money and headaches. Our Elizabethtown NC real estate lawyers provide strong legal counsel during closing which can prevent legal issues from tarnishing what should be a great experience. Errors in documentation or cost figures can lead to litigation and costly legal action, but by hiring legal counsel from the beginning these issues can almost always be avoided. Real estate lawyers Our Bladen, Brunswick, Columbus, Robeson and New Hanover County real estate attorneys can not only serve as your legal representation during closings but also serve to keep your estate out of probate by establishing a living trust. Hiring the right attorney helps both individuals and businesses protect their rights, ensure the contractual documentation is not only correct but fair and prevents legal issues that could arise later. Hester, Grady and Hester has been representing our clients in Southeastern NC for over eighty years. We’ll work with you to ensure one of your greatest investments is protected. Contact us for more information.